Find out some things you never knew about Lando. Recently it was confirmed that Billy Dee Williams is reprising the role of Lando Calrissian in the next Star Wars movie. The role was recently played by Donald Glover in the Star Wars prequel "Solo: A Star Wars Story" and he's the stand-out part of the film. 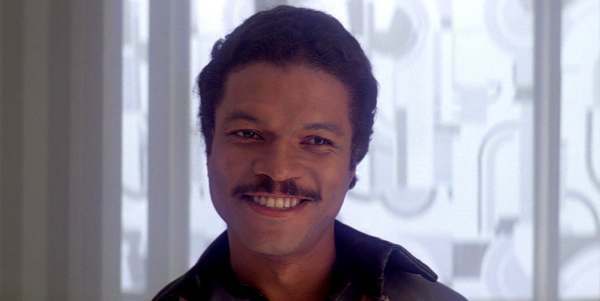 But the coolest cat in Star Wars will always be Billy Dee Williams as Lando. He's smooth, cool and irresistible to the ladies. Since his first appearance in "Star Wars: The Empire Strikes Back" Lando's been beloved by fans around the world. Still, even the most devoted "Star Wars" fan may not know everything about the character. 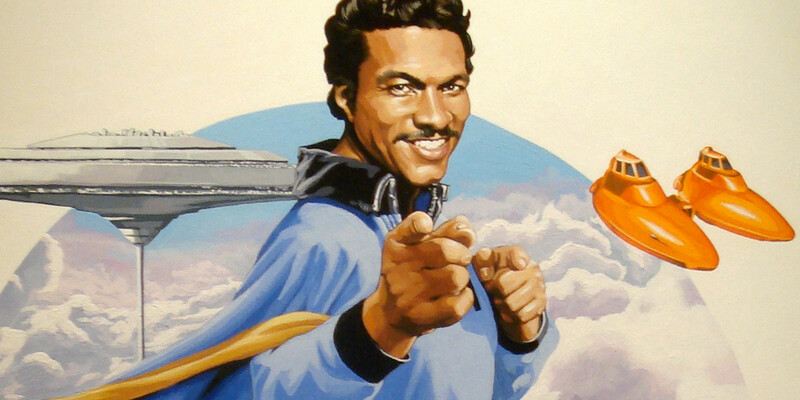 Here are 12 things you might now know about Lando Calrissian. Lando was supposed to be a clone. In an early draft of the script by Leigh Brackett Lando was supposed to be an old clone soldier from a planet named Hoth (unrelated to the ice planet). When Lucas started working on his sequel he had a vague idea of a character from Han's past. "Even though the Star Wars saga is essentially about Luke's destiny and his past, I wanted to round out Han Solo's character a little bit," Lucas explained to Brackett. "The 'gambler' used to hang with Han, but is a different kind of person, more of a rogue and a con artist type than a fast-shooting, fast-talking type like Han." The character was supposed to be the exact opposite of the rough and tough Solo and instead be more of a “James Bond type”. Lucas also wanted a ladies man in the style of the Latin lover Rudolph Valentino. Lando was one of the hundreds of clones living on Hoth and faced prejudice from people who don’t trust them including Leia. 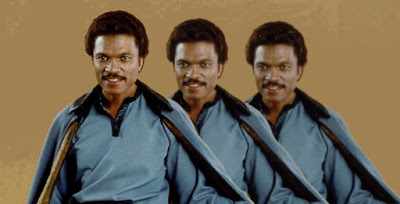 In the script, the trio hides out on the cloud planet Hoth with Lando Kada. Sadly, Brackett died of cancer before completing the film. Lucas and director Lawrence Kasdan did rewrites to create the Lando we know and love. Although hundreds of Billy Dee Williams wouldn’t be a bad thing. Carrie Fisher was known for her risque sense of humor and it turns out Williams has the same sense of humor. Williams, 43 at the time, played jokes on Fisher, 24, while they filmed "Empire Strikes Back". She later said he was quite charming but didn't mind sharing dirty jokes. In the scene where the two first meet on Cloud City Williams gently takes her hand and kisses it gallantly. "Billy Dee Williams was funny," she told the Independent. "Right before he was going to kiss my hand, he’d say something incredibly filthy, and I would laugh. Something about the Force and it being with me… He was a lot of fun to work with." The two would go on to film "Return of the Jedi" together and met again over the years. 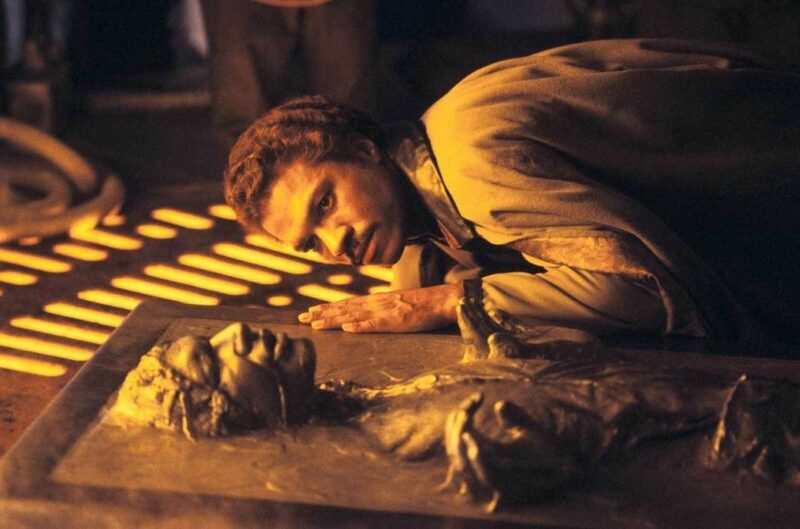 There's a persistent rumor that Billy Dee Williams auditioned for Han Solo. But it's not true. In fact, he didn't audition for Lando Calrissian either. Williams had become a heartthrob from his iconic, suave looks and worldly air in roles like Mahogany and Lady Sings the Blues. Director Irvin Kershner decided that he'd be perfect for the role of Lando and asked him to do the role. Kershner went to Williams' house, explained the role and he agreed to do it. Williams said he immediately fell in love with the panache of the name and the chance to work with George Lucas and Kershner who he felt were consummate filmmakers. An expanded radio dramatization of the original Star Wars trilogy was produced in 1981 and a few of the principal actors from the movie reprised their roles. When NPR produced a radio drama for Empire Strikes Back Hamilton and Daniels returned and Billy Dee Williams was one of them. But he didn't return for the "Return of the Jedi" radio show. It might be because he wasn't interested but it could also be because the drama aired 16 years after the film in 1996. The only actor from the original cast in "ROTJ" is Anthony Daniels. Instead of Williams, they cast Ayre Gross to play Lando. He does an OK job since he's obviously not trying to imitate Williams. Gross doesn't come close to Landos suave style though. Years later Gross plays Lando's voice again for a storybook and CD. 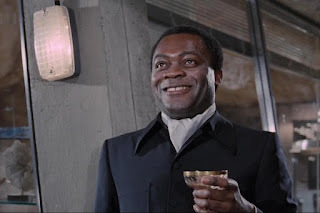 Yaphet Kotto almost played Lando but didn’t want to be typecast as the black guy who dies first in space. The year before "Empire" Irvin Kershner had directed Kotto in "Raid on Entebbe". Kirshner caught up with him while he was filming "Aliens" and said: "You're gonna stay in space." Kotto asked why and Kershner said, "I'm doing Empire Strikes Back and you're going to be in it.” Kotto said, "No, I'm not". Now it was Kershner's turn to ask why, and Kotto said, "Because they'll kill me off. I'll have trouble finding work after that." 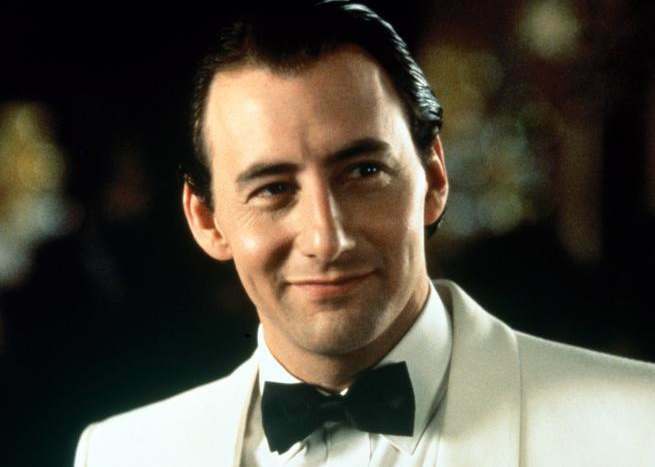 Besides dozens of roles in TV and movies, he did return to the genre in Arnold Schwarzenegger’s "The Running Man". Lando is an expert card player (or he thinks he is). He lost the Millenium Falcon to Han Solo but he won a whole city later on. The outpost and gas mining colony Cloud City floated over the gas planet Bespin. It was originally ruled by Dominic Raynor. A corrupt and cruel leader Raynor was hated by his people. He had a gambling problem and initially won Lando’s money and ship in a Sabacc game. But thanks to a secret donation from fifty thousand of Raynor's disgruntled workers Lando won the second game and became the new Baron Administrator. Lando became a benevolent leader and left his days of gambling and smuggling behind. His love for Cloud City people led him to make an ill-advised deal with the Empire to protect them even though it almost cost him Han’s friendship. Still, it was a great hand of Sabacc. The Netflix show "Stranger Things" has a ton of pop culture references and one is directly related to Lando. Empire Strikes Back was released in 1980 and the show is set in 1983. The movie had a huge influence in pop culture so there are several references in the show. One powerful scene from Empire is the realization that Lando was secretly working with Darth Vader to capture Luke. This moment of deception has angered fans for generations and until his redemption in Return of the Jedi seemed like his defining characteristic. Some would say it's natural for the audience to hate Lando for betraying Han. Others would say he redeemed himself in "Return of the Jedi" by saving Han from Jabba and helping the Rebel Alliance during its battle with the Death Star. The funny thing is the skin tone of the person may have something to do with it. 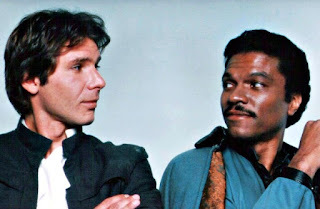 I went to see Billy Dee Williams at a convention panel years ago and one fan asked Williams a question and ended with "Oh, and thanks for lying to Han". He got a round of cheers. The panel host had to explain to Williams that he was referring to Lando's broken promise not to get a "scratch" on the Millenium Falcon. It was weird and, in my mind, a disrespectful thing to say to the legendary actor. Turns out he's not alone. In an interview with TV One Williams and his daughter, Hanako said they got yelled at by fans all the time. "You got a ten-year-old, you know, yelling at you saying 'you betrayed Han Solo'," Williams laughed. "You know I mean that's pretty scary. Ten year old to do that." "This whole slew of young boys at school who would you know, call my dad a 'traitor'...", she said. Williams said there’s an element of “prejudice” to the hatred of Lando. “I always wonder if I were a Caucasian actor if I would have gotten the same reaction,” Williams said in the clip from "Unsung Hollywood". Honestly, while I’ve met a few people who think Lando is a jerk and they’ve always been white. Maybe it’s a coincidence. Maybe not. 9. Lando Was Written Out of "The Last Jedi"
While Lando is reportedly going to appear in Episode IX he was actually supposed to be in the last film. When Rian Johnson was working on "Star Wars: Episode VIII The Last Jedi" he considered adding Lando. 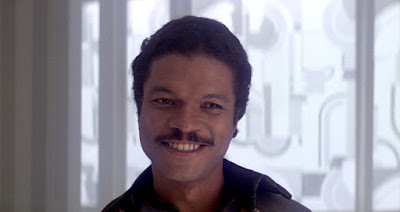 The role of the morally ambiguous DJ was originally included Lando as the smuggler. "Of course I’d love to see Lando," Johnson told The Playlist. "In terms of Lando, I briefly considered — would he work in the Benicio [del Toro] part, [DJ]." But Johnson thought about the treacherous turn the character takes and decided it didn’t fit in with Lando’s personality. "I don’t think you would ever buy that Lando would just completely betray the characters like that and have that level of moral ambiguity,” Johnson explained. “Cause we love Lando and you’d come into it with that [expectation]. And also, DJ, the character that they met, for the purposes of Finn’s character, had to be a morally ambiguous character that you’re not sure about, that you’re guessing about, and we already know that we love the character of Lando so it just wouldn’t have played in that part story-wise." So the role was rewritten as a hacker and Benicio Del Toro was cast. Landon is known as a scoundrel and a smuggler but he's also an occasional thief. In the 2015 "Empire Strikes Back" prequel comic Lando #1 drawn by Alex Maleev and written by Charles Soule tells a story set between A New Hope and the sequel. During a job, Lando steals a ship from "some piece of rich Imperial scum" for the valuable collectibles and art inside. Little does he know that the owner is none other than Emperor Palpatine himself. Lando accidentally steals from the head of the Galactic Empire. 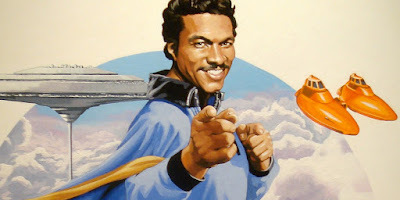 We don’t know if anyone else has stolen from the Emperor and lived but we know there’s at least one: Lando. 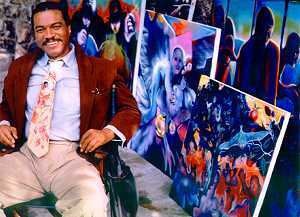 Billy Dee Williams is a trained professional artist. Williams has established himself as an actor but his first love was painting and art. One of his works was titled “Empire Strikes Back” and features a depiction of Lando. At seven years old he started his acting career at seven in a Broadway play called "The Firebrand of Florence". But by the time got to high school he dreamed of becoming a professional artist. He won the prestigious Hallgarten Award art scholarship to attend the National Academy of Fine Arts and Design. While there he earned money for art supplies by acting. Despite the strong protests of his art professors, he switched his focus to acting. 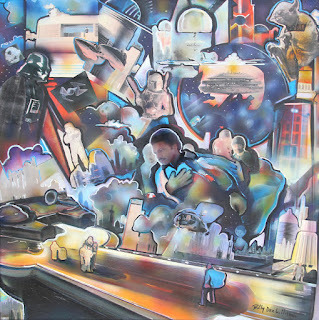 In the 1980s he started painting again and one of his works was titled "Impressions of 'The Empire Strikes Back'" and features a stylized depiction of Lando. 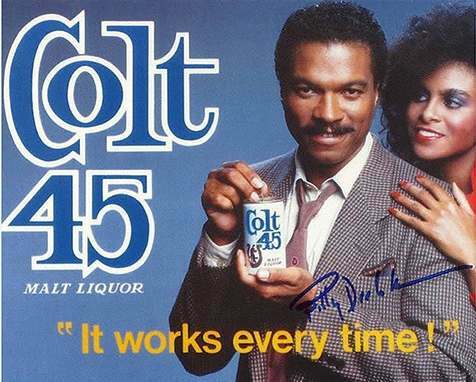 After the runaway success of Star Wars, Billy Dee Williams was in high demand. The company National Brewing Company was looking for a spokesperson. "We said, '[Malt liquor has] become an urban product. We’re gonna find a really cool guy for that market, but someone who has great crossover appeal,'" Advertising executive Jim Dale recalled. "Someone who’s well known, but not so well known that people look at him and say, 'Oh, he's [basically] white.'" After a search, Dale and his team at W.B. Doner decided Williams was their man. "It was, for better or worse, my idea," Dale said. "He had done the first Star Wars movie at that point," Dale says. "Women and men both thought he was about the coolest f**kin' guy there was." The campaign featured Williams in print, radio and television ads with the slogan "it works every time." Colt 45 became a household name and, for better or worse, Lando helped usher in a new age for malt liquor. What do you think of the list? Is there anything you learned? Did we miss anything? Let us know in the comments!